A growing side business needed an innovative way to get their content for a presidential booklet out to the world. Create a mobile app for the iOS market. Take the content from the book, utilize Phonegap, and created the mobile application. 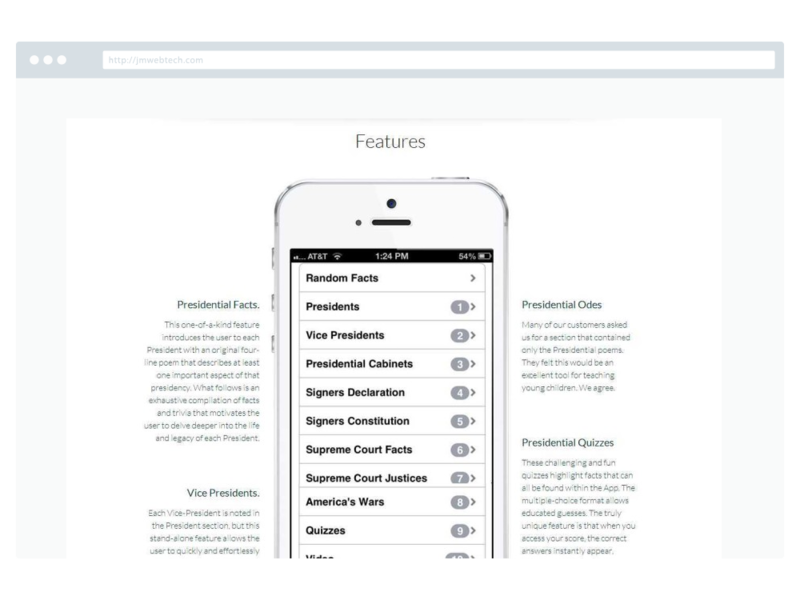 PBN was one of the first and highest rated presidential apps in the iOS store. Years later the app is still updated, most recently with the Presidential Election of 2016.